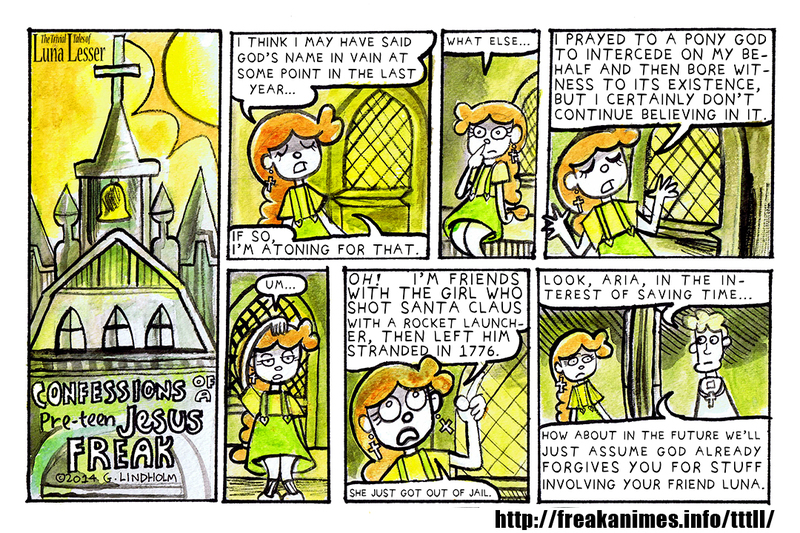 Here’s a thing about Aria, since she’s generally pretty much a supporting character. Maybe some of you like Aria? I don’t know. Anyway, here she is in church, doing Jesus stuff. Being all churchey. New strips coming up, but probably not til school’s out.